Then He took a little child and set him in the midst of them. 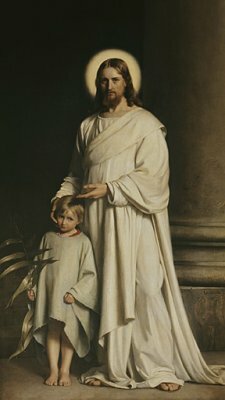 “Assuredly, I say to you, unless you are converted and become as little children, you will by no means enter the kingdom of heaven. They were indignant and said to Him, “Do You hear what these are saying?” And Jesus said to them, “Yes.